Roads give you chances to seek and explore. Award-winning author Pat Zietlow Miller's lilting rhyme and bestselling illustrator Eliza Wheeler's enchanting, lush landscapes celebrate the possibilities that lie beyond the next bend in the road-the same road that will always lead you home again. 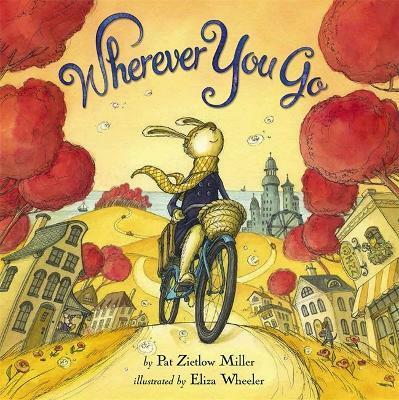 Pat Zietlow Miller is an award-winning picture book author who loves exploring new places and learning new things. Some of her favorite travels have led her to Hong Kong, China, and Canada. Eliza Wheeler grew up in northern Wisconsin in a family of artists, musicians, and teachers. Her picture book, Miss Maple's Seeds, debuted on the New York Times bestseller list. Eliza has illustrated other children's books, including The Grudge Keeper (Mara Rockliff), and the Newbery Honor Book Doll Bones (Holly Black).